Even though the ancestors of our dogs eat raw food, this is still a fairly new approach of feeding our four-legged friends. This diet is based on raw meats, bones, fruits and vegetables, and many owners are recognizing the benefits of this type of diet. This type of diet was introduced by Australian veterinarian Ian Billinghurst who name it BARF. That stands for Bones and Raw Food, or Biologically Appropriate Raw Food. A lot of owners choose to make their dog’s food at home, but we know that this can be time-consuming and not practical for all. Still, we wanted to give healthy choices for owners who want to feed their dogs this way and we made this guide about commercial best raw dog food in order to help you make the right choice for your pooch. Your vet agrees that your dog can benefit from this diet, but you don’t have time to make it at home and you are eager to know what is the best raw dog food, luckily we are here to help. We will now introduce you to our 5 choices for the best raw dog food brand. This is easy to feed and store, freeze dried raw formula that is complete and balanced. Made in the U.S from natural ingredients this food is suitable for all life stages and all breeds. The main ingredient is Chicken, followed by Ground Chicken bone, Chicken liver, and Salmon. Together they create a minimum of 48% crude protein for healthy muscles and tissue. Broccoli, Carrots and Dried Kelp are easily digestible carbohydrates and make a maximum of 5% crude fiber. This is a grain free formula suitable for dogs with allergies. The main source of fat is Salmon oil that is good for sensitive skin and coat. It contains a minimum of 29% crude fat for an optimal amount of energy. Blueberries, cranberries, ginger, and parsley are the sources of vitamins and minerals that make this formula well-balanced for daily feeding. The Honest Kitchen is a pet food brand from the U.S and this formula is approved by AAFCO as complete and balanced. 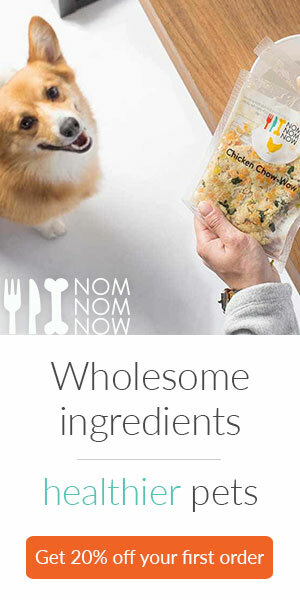 It is created to fulfill the needs of active dogs and owners who don’t have time to cook at home. The main ingredient of the best dehydrated raw dog food is Turkey. This is a suitable formula for more active dogs and will provide them with 29% crude protein. Since this is a grain free food it contains only easily digestible Potatoes, Spinach, Carrots, and Celery. They are suitable food dogs with sensitive stomach and provide 9.6% crude fiber. The main source of fat is Organic Flaxseed that is good for skin and coat. This is also the main source of energy and provides 18% crude fat for happy and active lifestyle. Blueberries, Bananas, and Apples are the natural sources of vitamins and minerals like zinc, calcium and potassium are included. To make this delicious food you need to mix it with water and after a few minutes it is ready and suitable for puppies, and adult dogs. Nature’s Variety created freeze dried nuggets to mirror the ancestral diet of dogs. Made from quality and natural ingredients this is a well-balanced food for dogs. The main ingredient is Chicken, including Ground Chicken bone, Chicken Liver, and Chicken heart. These are all necessary ingredients of best freeze dried raw dog food and they make a minimum of 36% crude protein. Organic Carrots and Butternut squash are easily digestible carbohydrates suitable for dogs with food allergies. They make a maximum of 6% crude fiber that is good for dogs with sensitive stomachs. The main source of fat is Salmon oil that is good for skin and coat problems. As the main source of energy, it is present in the amount of 26% crude fat. Organic pears and cranberries are the sources of vitamins necessary for a strong immune system. This formula also contains all the required minerals for a normal organ function. To make this adult formula of raw food just add water and wait for a few minutes. Beside this Chicken flavored raw formula, Primal makes many more flavors that will certainly fulfill your dog’s needs for meaty tasting food. Chicken Freeze Nugget is well-balanced and suitable for daily feeding of all life stages. The main ingredient is Chicken, with Chicken necks, and livers. Combined they make 37% crude protein, which is a great amount for puppies and muscles of adult dogs. This is a grain free freeze dried diet and contains only Organic kale, carrots, squash, and broccoli. Together they provide a maximum of 1% crude fibers that are easy to digest and suitable for dogs with grain allergies. Salmon oil is the main source of energy and fat that will keep your dog’s coat shiny and healthy. It creates a minimum of 37% crude fat, which is suitable for active dogs. All the necessary minerals, vitamins and Omega 3 and 6 fatty acids are included in a complete and balanced diet. Add water to the nuggets and wait for a few minutes before you serve them to your dog. Raw Raw Beef Boom Ba is a grain free formula of this type of food that is easily transformed into a delicious meal. It is complete and balanced and suitable for daily feeding of all life stages. The main ingredient in this dehydrated food is Beef which makes a minimum of 22% crude protein. This is a suitable amount for healthy muscles and tissues. Easy to digest Yellow Split Peas, Sweet Potatoes, and Cabbage are suitable for dogs with sensitive stomachs. They create maximum 6.5% crude fibers for a full tummy without allergies. The main source of fat is Flaxseed meal that is also great for skin and coat. As the main source of energy, it creates minimum 10.5% crude fat. Banana, Spinach, and Kelp are the sources of vitamins and minerals required for a strong immune system and healthy organ function. How To Find The Best Raw Diet? If you are determined to transition your dog to this type of food but you don’t have time to make it at home, you’ll have to find the right commercial brand. And although this type of food is fairly new, it’s more and more popular and there are a lot of options to choose from. What Is Raw Dog Diet? In order to provide your dog with all nutrients, he needs you have to know what consist this type of diet. No matter if you decided to buy food for your dog or you want to make it at home, it needs to be complete and balanced in order for your dog to stay healthy. – Muscle meat: Should be the largest part of the raw diet and the source should be lean and not full of fat. If you notice that the food is too greasy you should switch to another brand. – Bones: With muscle meat, they are two largest components of this diet. They can be fresh or ground and the lack of them can cause calcium and other deficiencies. – Organs: Most common sources include heart, kidneys, liver. The heart is considered a muscle meat and liver and kidneys contain trace amounts of vitamins and minerals. – Fat: Should be present at the maximum of 15%, any higher and you can be sure that your desired formula doesn’t use lean meat. Too much fat in frozen raw dog food can cause serious problems for dogs with pancreatic problems. – Vegetables: Like broccoli, spinach and celery are sources of vitamins and minerals and need to be included. If they are not present you can add them yourself or search for another formula. – Carbohydrates: Should be low, but still included if the best frozen raw dog food contains vegetables. Grains should never be present since they aren’t digestible in raw form. Many owners decided to place their dogs on a this diet because it is healthier than processed food. If your dog is suffering from some health problems consult your vet before placing your pooch on this diet. What Are The Risks Of This Diet? Even though this is a healthy food choice and for many people the only way dogs should eat, even the best raw diet for dogs has some potential risks. – Threats from bacteria found in raw meat: Bacteria like E Coli can be present in raw meat, and can pose a bigger threat to human health. People who make food for their dogs at home should always wash their hands and disinfect counter space used for preparation. – Whole bones: Chunks or whole raw bones can cause serious damage to a dog, from broken teeth, choking or internal injures. You should always inspect your dog’s food for sharper pieces and supervise him while he eats. – Unbalanced diet: This goes for homemade food since it can be hard for owners to include right amounts of all ingredients. Not enough protein can cause anemia, and lack of calcium and phosphorus can lead to dental problems. – When you decide to go with one of the best raw dog food brands you don’t have to worry about nutrient deficiencies. All commercially made formulas contain fruit and vegetables, or vitamin and mineral supplements in order to keep your dog healthy. What Freeze Dried And Dehydrated Means? Some owners think that only meat can be considered as a real raw diet, but they are wrong. Commercially made raw food consists of frozen raw food, freeze dried and dehydrated dog food and we will explain what that means. – Freeze dried raw food: When it comes to this type of food, during the freeze drying process the moisture is removed but the food isn’t cooked. – Dehydrated raw food: During the process of dehydration temperature does rise slightly, but this food is still considered raw. By adding water to the dehydrated food you’ll get food just like fresh or frozen raw. We advise you to talk to your vet before you transition your pooch on best raw dog food. If you pick commercially made diet for your pooch you don’t have to worry about nutrient deficiencies that are common with homemade food. This is still fairly new and a bit controversial approach in dog food industry, but owners who are feeding their dogs this way only have praises.